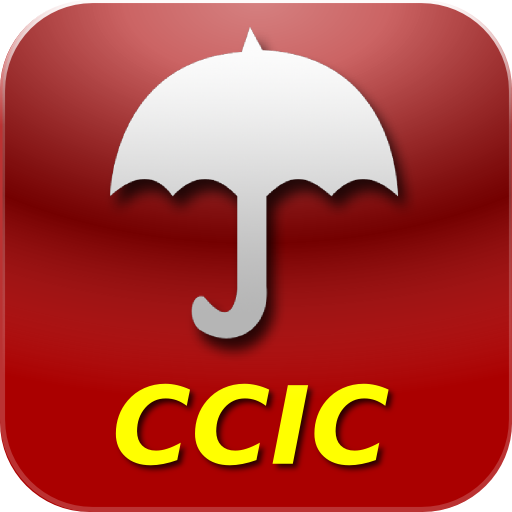 [prMac.com] Brisbane, Queensland/Australia - Nigel Green today is pleased to announce the release and immediate availability of Comprehensive Contents Insurance Catalog (CCIC) Version 1.0 for iPhone and iPod touch. CCIC provides an easy and accessible way to record the details of valued items for insurance purposes, whether for protection against loss, damage or theft. CCIC can be used to inventory items such as jewellery, art work, antiques, software, computers, furniture, gardening tools, equipment and anything else of value. Among the four available grouping options (which can be changed at any time) is being able to group by Location. This allows items to be grouped and valued together on a room-by-room basis. Once all items are entered the total value of items for each Location is displayed in that group's heading. If for example only certain rooms are damaged in a fire or flood, the total value of items in those Locations is instantly available. Items can be sorted/grouped by Location, Name, Value or Category. For convenience, when grouping by Location or Category, the group total is calculated and displayed in the group heading. The Total Value and Total Quantity for the entire catalog is visible on the main screen. 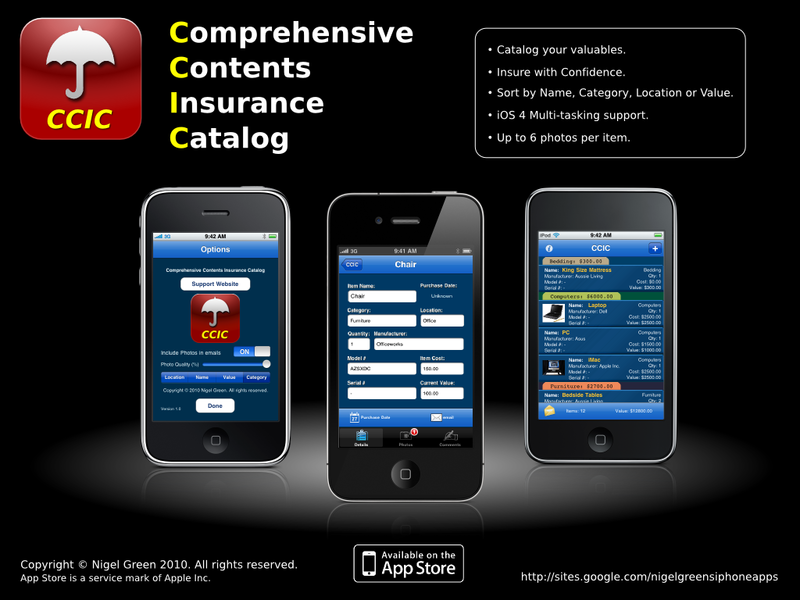 Comprehensive Contents Insurance Catalog 1.0 is $1.99 USD (or equivalent in other currencies) and is available worldwide exclusively on the App Store in the Finance category. For more details please visit the CCIC Support Website. Members of the media may contact Nigel Green to obtain a free promotional code. Located in Brisbane, Queensland/Australia, Nigel Green is an independent developer of iPhone, iPod touch and iPad Apps. All Material and Software (C) 2010 Nigel Green. All Rights Reserved. Apple, the Apple logo, iPod, the iPod logo, iPad and iPhone are registered trademarks of Apple Computer in the U.S. and/or other countries. App Store is a service mark of Apple Inc.